From top to bottom.  As a phrase, it means thorough. As a home insulation strategy, it means big savings in your energy bill each month. Statistics show that the average American home loses 30% of its energy to air leaks “ and about 85% of those leaks are in the roof and attic space. As for the other 15%, inadequate wall insulation is among the biggest culprits. Depending on your home’s design, the ducts, ceilings, crawlspaces, and foundation are all potential problem areas too. You might wonder, then, how to improve your wall and attic insulation in a way that makes good financial sense. To that end, we’ve put together some essential first steps for insulating Colorado homes the right way. 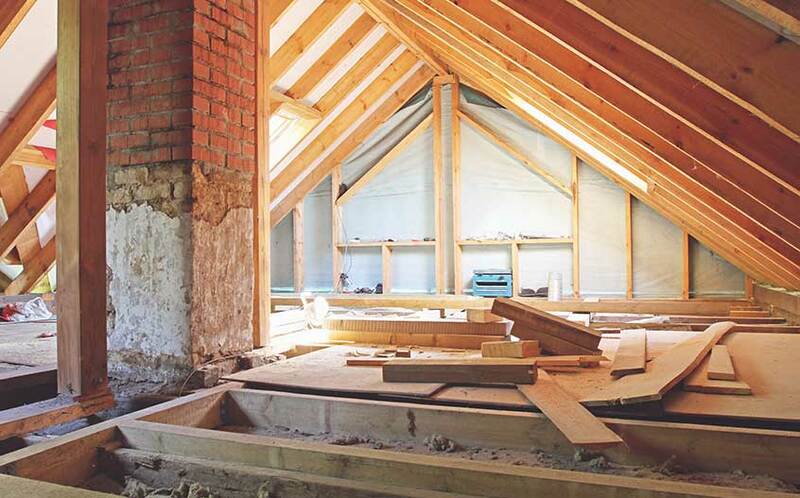 Do you know if the insulation in your attic is enough? If you’re like most homeowners, the answer is probably no. But don’t take our word for it “ check it out yourself! Carefully enter your attic and look to see where the existing insulation meets the attic floor joists. If the insulation material is level with or below the floor joists, you don’t have enough insulation. Having started with an eyeball glance, it’s time to get a little more specific. It’s possible to measure the actual amount of insulation material in your attic, but you’ll first need to know how to measure insulation. Insulation materials are measured in R-values. The higher the R-value, the more effective the insulation. If your attic insulation game is strong but your house is still drafty, it might be time to improve your wall insulation performance. People don’t often talk about adding to their wall insulation because (A) it generally costs a bit more, (B) it isn’t an easy do-it-yourself project, and (C) it’s usually only necessary in colder parts of the country “ like Colorado. But heat escapes through exterior walls just like it does ceilings, roofs, and floors. And if there isn’t enough insulation inside, the wall won’t be enough to keep the cold out (and the heat in). R-value is but one of many considerations relevant to having a well-insulated, energy-efficient Colorado home. Today’s marketplace offers numerous types of insulation, and the right choice comes down to location, cost, and your home’s overall energy performance. The best way to loss-proof your house and slash your energy expenditures is to work with an insulation improvement expert. By scheduling an easy Denver home energy audit, you can target the specific areas of loss in your house and determine the best way to cut your energy costs overnight. At REenergizeCO, we help families and businesses create warmer, more affordable, and more efficient places to work and live. With a simple two-hour visit to your home, we can produce an assessment that will revolutionize your living experience (and monthly spending budget). Our Denver home insulation services are available for new and existing structures alike. Whether you need brand-new insulation or want to add to what you already have, we can help. Stop wasting money on heat and energy that literally fly right out of the roof. Take your next step into 21st-century living. Contact REenergizeCO and ask how we can help you affordably achieve home energy efficiency in Denver and beyond.